Vaastu means the dwelling of humans & Gods. Vaastu shastra is an ancient science which helps one to get the natural benefits freely offered by the five basic elements of the universe in which we all live. These basic elements are Akash (SKY), Prithvi (EARTH), Paani (WATER), Agni (FIRE), and Vayu (WIND). Vaastu Shastra can be applied by keeping in harmony with these basic five elements of nature. Vaastu Shastra is an edifice science that was developed by our learned people thousands of years ago. It happens many times that construction has already been done against the principles of Vaastu. In such cases, it is advisable to consult a Vaastu expert for correction of Vaastu. The application of Vaastu principles are based on becoming one with nature. Growing of pricking plants like cactus in your house is not advisable. Television and Computer should ideally be placed in the Southeast corner of the living room or study room. They should not be placed in the Northeast corner or Southwest corner. Keep the Gas in the south east corner of the kitchen and a person should face the east while cooking. Drinking water should be in the north east of the kitchen. Square and Rectangular plots are best and you should try to have boundary in all sides of the plot. The main house should have empty place all around it. Try to keep vacant place in North and East corner of your house. Head of the family bed room should be located in South or South West corner. For good health sleep with your pillow facing South or East. Avoid sleeping with your pillow facing North or West. It is good to have courtyard (aangan) in the mid of your house. Do not keep broken mirrors and stopped watches in your house. Kids or Students should look at East or North while reading. You can have Tulsi (basil) and other herbal plants in your house preferably in the North East corner. You should not construct toilet in North East corner of your house. In the South, West or South West corner, you can keep heavy articles like almirah, furniture etc. 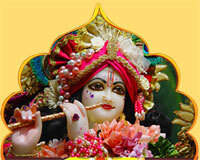 Deity or Pictures of God should be on East wall of your house. Do not have temple or toilet below stairs. You can however use this place for keeping some articles as store. Temple could be constructed in North East corner of your corner. Deity or image of god should not face the south direction. Ideal position for making prayer etc is east or west facing sitting. Keep Brahmasthala (center of your house) neat and clean. A cluttered center of house or no open space in that part of house can cause poor communication in relationship. Toilet, kitchen and underground water tank in the center of house may cause disagreement. Kitchen should be in South-East corner. The face of the cook should be towards the East. The water tap in kitchen should be in the North-East direction. It is better if the stone on which food is cooked is of red color. Heavy structure & Stairs should be in South-West Direction. Ladder to go up stair curved on the right side should be divided in to two parts. It should be constructed leaving north-east or south-west direction. Ladders stepping down towards north or west create waste of Lakshmi. A house should not have paintings, which depicts depressing scenes like an old woman crying, scenes of war or poverty. It should have picture of say, a sunrise, an ocean, mountains, flowers or laughing children. Tall trees are nowhere recommended close to the main building. For trees the south in itself is good and so is the west. No tree should be grown in the north and the east. The one at the north-east is the worst. Balconies should be planned towards the East and North and should be definitely avoided in the South and West. If balconies in the South and West cannot be avoided, then larger balco­nies must be provided towards the North and East. Care should be taken while providing balconies so that a cut or truncation is not created in the Northeast corner. In the dining room, appetite could be increased by having colors of walls painted in light pink or orange. Rectangular dining table is most preferred. While eating one should sit facing East or West. Grains and other food can be stored in North West. Oil, Butter, Ghee, Milk and other oily liquids can be stored in South East corner of Northwest room. Heavy equipments like refrigerators should be placed towards South and West Walls in the kitchen. Bedroom can be painted in light to deep blue colors to induce sleep. Green in advised for study rooms to promote intelligence. Sandal or yellow color would be good for prayer or meditation room. You can paint your living room in white, yellow, light pink, light blue or green color. Avoid circular or spiral staircases. Number of steps in a staircase should be odd including the landing step. Stairs should be constructed in such a way that the movement is in a clockwise direction while going upwards, i.e. from ground to higher floors. Southward portion of every building should be higher than northward portion. The inclination of land, building, floors of rooms etc should be towards North East. Thus West and South of a building should be slightly higher than North and East corner. Keep more windows and doors in East and North. Fish aquariums help in attracting wealth. Therefore, buy an aquarium for your house. However, make sure you choose lively, beautiful, healthy fishes as their continuous movement helps keep the energy of wealth on the move. Also, keep the water aerated and clean. Avoid Computer and T.V in bedroom as they will reflect like a mirror. If you place T.V and Computer in bedroom, cover them with a cloth while sleeping in the night. Mirror can be affixed on East or North Wall. Never put mirror in kitchen. Install Abhimantrit Dakshinavarti Shankha and Shree Yantra at your house. It will remove all kinds of Vaastu Dosha and will also bestow wealth and prosperity for the native. 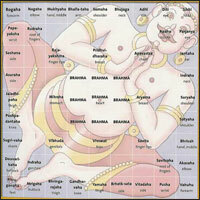 Vaastu Shastra principles show that the lord of Agni (Fire) prevails in South-east direction. So ideally the kitchen should be located in south-east of the home. The second best option is North-west part of the home. The stove should be placed in south-east direction of the kitchen so that the cook may face east direction while cooking. Most dangerous kitchen is the one placed in North direction; as North is Lord Kubera (the God of Wealth) direction, having kitchen in North will increase expenditure of family beyond expectations and control. Entry door of kitchen should be in the East, North or West. The door of kitchen should not be in any of the corners. Sink (wash basin) should be in north-east corner as far as possible. It is important to note that sinks and taps in the kitchen indicate flowing water. They should be placed in the north-east direction and away from the cooking stove. This is because fire and water are opposite elements and they repel each other otherwise they would lead to unnecessary expenses especially on medical treatment in your house. If there is a dining table in the kitchen, it should be placed in the North-West or the West side. Gas Cylinder should be kept in south-east. Empty Cylinder should be kept in south-west. The direction of refrigerator should be in south-east, south, west or north direction. Refrigerator should not be in north-east direction. If the refrigerator is in south-west direction, it should be a feet away from corner otherwise it always gets out of order. Heaters, conventional ovens, micro-waves ovens should be placed in south-east or south side of the kitchen; never in north-east portion. Windows are very important in kitchen and Vaastu Shashtra also recognizes it and provides that one or two windows in the kitchen are a must. An air hole or an exhaust is a must and it should be placed in the east in the kitchen. Windows whether they are large or small should be placed in the east while if there are ventilators, it should be placed in the southern direction. The storage racks should be made on southern or western wall Essential commodities like boxes of grain, spices, pulses, etc. should be in south or west direction. The water source including pitcher, water filter, etc. may be kept in north-east. Drinking water vessels, be it an earthen pot, filter, RO, pitcher etc. these should be placed in the north-east side. As far as color is concerned, I would advise you to avoid black colour in the kitchen and opt for vibrant colours such as yellow, rose, chocolate brown, green, orange or red. You should ensure that your kitchen doesn’t share a wall with the toilet or bathroom. Plus, in multi-storey homes, it is important to ensure that the kitchen is never made below a bathroom or toilet. The kitchen at night should be well cleaned and used utensils should be washed before sleeping. There are many rules of Vaastu for kitchen but I have discussed with you the most important one. These rules are based on pure science and following them will keep you and your family healthy, wealthy and peaceful. You can book specific Vaastu visit or consultation by visiting our website. Under the auspicious guidance of our respected Guru Ji we are proud to announce Divine Vaastu Dosha Nivaran Yantram. This yantra is crucial in combating the harmful effects arising due to defects in vaastu of any building. Vaastu Shastra is a science which helps us achieve material prosperity, mental peace, happiness & harmony at home & work place. In today’s life mostly all people witness some or the other faults in construction or keeping of materials as per Vaastu which result in Vaastu Dosha. Such dosha hinders our progress in life. This is the reason we have introduced Divine Vaastu Dosha Nivaran Yantram. This is a very Powerful Yantra. It has prayers to devatas of each and every corner in Vaastu shastra. It is crucial in maintaining the balance & harmony in external and internal vaastu of our home, office, factory etc. & thus makes our life happy. It can be installed at home as well as at work place in North or East direction. We provide energized Vaastu Dosha Nivaran Yantram which is specifically energized as per your gotra and name.